I may have recounted this story a number of times, but I got into K-pop because a family friend spent her gap year in Korea and came back with a K-pop mix on a CD, full of Bigbang and SHINee’s old hits and Lee Hyori’s U Go Girl. We played it when her mom picked us up from school all the time, and Haru Haru was my favourite song for an age and a half. That was like, ten years ago. I listen to K-pop like I listen to just about everything else – casually and not as obsessively as I used to, but if you strike a K-pop conversation with me I’m not going to stop talking. Where do I even get all these trivia from? I don’t even know. I joined the K-Soc at my uni so hopefully, I will make friends who I can be just as chatty with. It was my first concert at Genting so I was quite excited! I ended up there many hours early since I was tagging along with VIPers but that meant I could grab food and still be in my seat an hour and a half before the show started. It also meant the wait for the show to start was pretty much unbearable. The Genting Arena doesn’t allow fancy cameras like my DSLR (darn it!!) so I am still stuck with the phone camera I used last year, sadly, which is why my photos are less than impressive. I spent the rest of my time jamming along to everything he performed. The show was all bright lights and dark visuals. 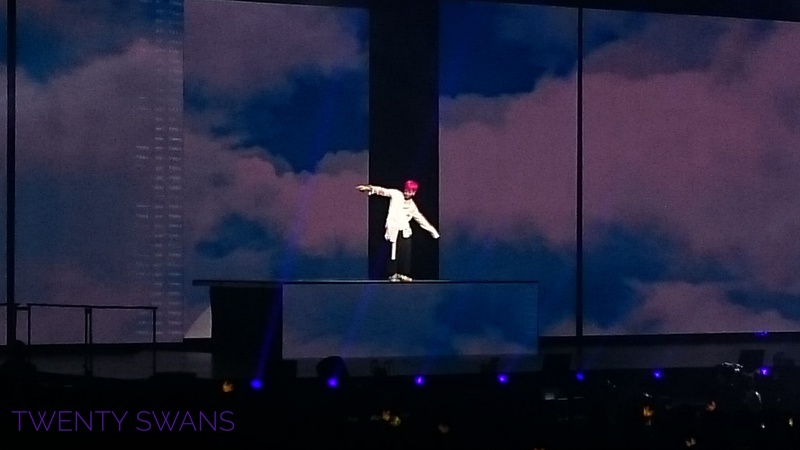 MOTTE, for G-Dragon himself, is a show exploring himself- his identity as GD and as Kwon Ji Yong, and it did feel quite personal, also including video interviews with his friends and family. 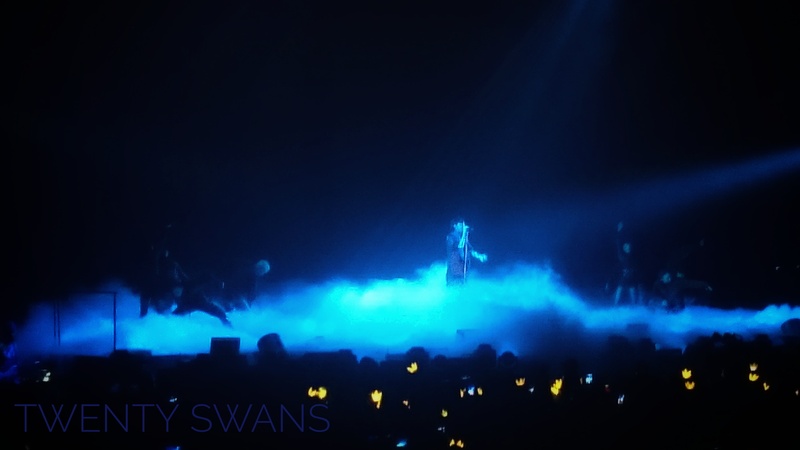 The setlist started from his old hits and ended with almost all the songs from his most recent EP, Kwon Ji Yong. It was separated into three acts this way. 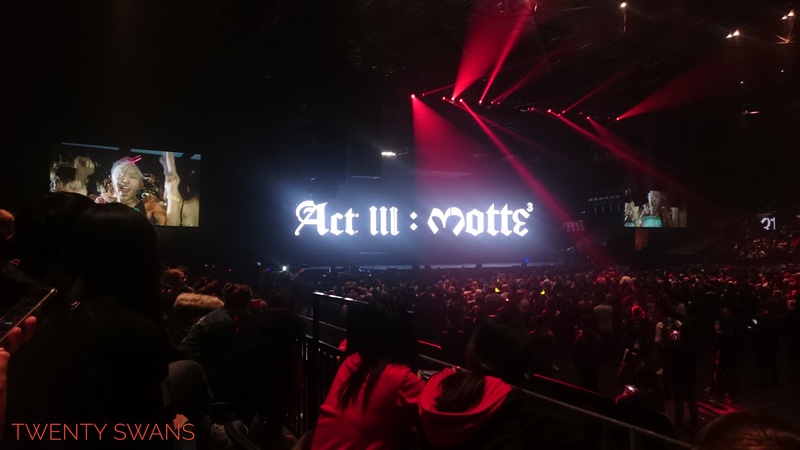 I noticed people were more hyped towards the second act when he performed more recent and well-known songs (and especially CROOKED in the encore because we UK fans have a soft spot for it – he filmed the video in London). It was a shame people weren’t as excited for A-YO and Obsession as I was, though! They are two of my favourite songs by GD. I met some wonderful fellow concert-goers whilst there. From the pair of girls waiting for food to the girl I sat next to as we both went to the concert alone, to the girls who helped me charge my phone and find my relative after the battery died, and also got me the poster that is now on my wall. I’ve met so many wonderful people through my casual listening of K-pop and this night was no different. I am so happy that there have been more K-pop concerts in the UK recently (Crush, ZICO, Dean, GD and KARD all in the last year and Hyukoh next month) so I get to indulge in live music I love. I am putting my bets on BTS being the next big act to hit the UK, seeing as they are doing fabulously internationally. Who are you waiting on to hold a concert?